“ I have difficulty keeping my sanity. Each day, this altering world provides me with new trials. A man wearing the robes of a doctor crossed my path. From afar, I witness him walking around, searching.. But he was not...normal. Eyes and mouth pried open, in a painful and disturbing way. Where do these fiends stem from? I do not trust him, he looks like he wants to bring pain, not healing? I will stay away, it is the wisest thing to do. From an early age, Herman Carter understood the human psyche. To analyze and deconstruct something as powerful as the brain intrigued him. He was an apt pupil and gained the attention of his teachers. He excelled in high-school and was published in “Partisan” - a psychology gazette. Within a year Carter was fast-tracked into Yale’s advanced neuroscience programme, really a front for the CIA. Brainpower is a must if you’re about to conquer the world and demolish foes across the pond. The CIA understood this, so interrogation and intelligence became their number one priority. All they needed were brilliant people - like Carter. Carter and other top-tier recruits were transferred off-campus and into a secret black site facility in Illinois known as the Léry Memorial Institute. A protege craves a mentor, and that’s where Mr. Stamper stepped in who taught Carter that information is everything and knowledge is power. He was given all instruments needed, a guiding hand, and more or less everything he asked for. He never realized that sunlight had started to become so scarce. That he too was kept in the dark. Because knowledge doesn’t only give you power, it also transforms you into a threat. To extract information was his mission. Mr. Stamper encouraged Carter to go further and not to consider this a normal medical facility - no eyes were watching them, there were no rules to abide. The agency just pointed Carter in the right direction, then he started to take a few steps back as he saw how Carter could walk on his own. Docile test subjects were exchanged for real, live spies. People that played a role in the troubles outside the facility. Carter shouldered this new role - Project Awakening took form, and on paper Carter described it as “experimental interrogation”. It was approved and over a few months, nobody knocked on his door. Screams and moans filled the corridor outside his lab, but wars skew people and what they accept - as long as the enemy is kept at bay. The fluorescent lights flickered more and more often. ECT became a standard dish on the menu. Prisoners held at the facility begged the guards to take them to any other lab but Carter’s. Rumors were disregarded in the beginning. Over the years, Carter became known as the Doctor and no one ever questioned if he had even held a medical certificate or even what happened to the prisoners after they had given up their information. It was only after the Léry Memorial Institute went silent for a week that they finally uncovered the true horror of what had happened there. Carter’s experimental information extraction had turned to horrific and bizarre torture. Patients and prisoners were found dead or in vegetative states with all types of head trauma. In his office, they found the most terrible discovery of all. Mr. Stamper, himself, his head peeled open and an array of electrodes and sensors inserted into his still working but annihilated brain. There was no sign of Herman “The Doctor” Carter, but his research papers suggested that he had been using the prisoners as part of awful ECT experiments as he searched for the panacea of mind control. The government didn’t want to know. The black site was condemned and all knowledge of the Léry Memorial Institute redacted forever. The Stick is a Primary Weapon for the Doctor. 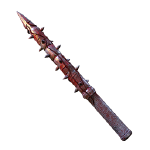 An instrument of punishment when all other treatments failed. In Punishment Mode, he holds his Weapon with both hands. He puts his Weapon away on his belt when he's about to perform his Memento Mori . Is it a gift, or a curse? The Entity has ignited a corrupted and inexhaustible spark in The Doctor’s heart which allows him to generate electro-convulsive power at will. His insidious treatment corrupts the minds of those it touches. Victims shocked by the corrupt spark begin to lose their grip on reality and, with repeated exposure, inevitably succumb to madness. Grants the ability to switch between Treatment and Punishment modes. 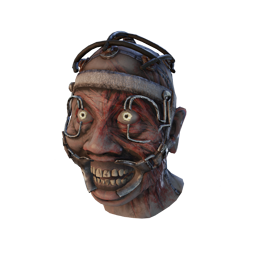 While in Treatment mode, you move slower and generate a Static Field based on your Terror Radius which slowly increases the Survivors' Madness based on their proximity to the The Doctor. 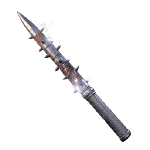 In exchange for your normal attack, grants the ability to charge and release a Shock Therapy attack that greatly increases Survivors' Madness, and prevents them from performing any interactions for 2.5 seconds. 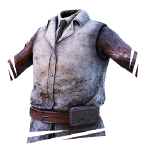 Treatment mode still allows The Doctor to do normal interactions such as vaulting windows, damaging generators, breaking pallets and grabbing Survivors. 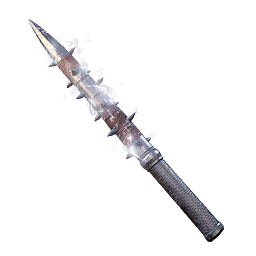 Skill Checks have a 33%, 66% or 100% chance of appearing in a random location while in Madness I, II or III, respectively. 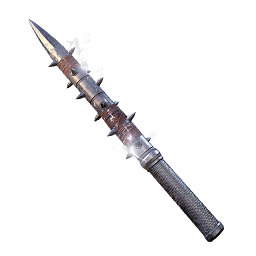 More Afflictions are available with Add-ons . 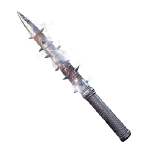 While in Punishment mode, The Doctor moves at his normal speed and can swing his weapon to injure Survivors. 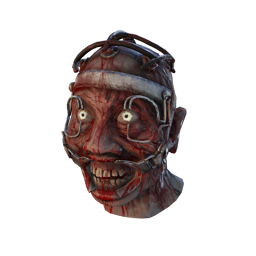 While in Treatment mode, Survivors inside Lockers are not affected by the Static Field. The Doctor introduced the madness mechanic. The Doctor is the first Killer to have two different Attack Modes. The Doctor's facial equipment, that forces his eyes and mouth to remain open, is a reference to the 1971 Movie A Clockwork Orange where the protagonist undergoes brutal psychotherapy treatment in an attempt to cure his mania and bloodlust. The Doctor's background story may be a reference to MK ULTRA, a CIA research project that officially ran from 1951 to 1973 and experimented with unethical methods of interrogation and mind control. 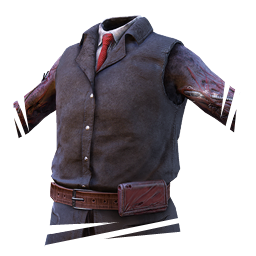 The Doctor's Memento Mori animation was the first where the Survivors see a part of the animation from the Killer's perspective. During this animation, he zaps his victim's head using sparks from his hands until they die. The Doctor is one of 3 Killers with glowing eyes, the others being the Wraith and the Hillbilly . 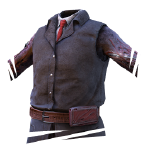 Due to technical limitations, the Doctor Illusions, like the Phantasms created by the Hag , always wear the default customisation. 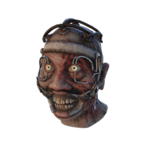 The Doctor laughs menacingly whenever he hits a Survivor with his Shock Therapy attack. This laugh is also heard, albeit just by the Survivor, when they got fooled by an Illusionary Pallet. The Doctor's Static Field in Treatment mode is affected by things that adjust your Terror Radius. 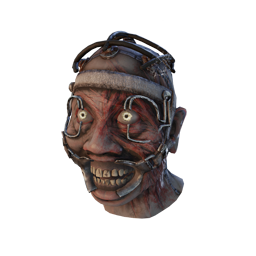 Increasing your terror radius with perks and items can help to cause more Survivors to scream more often as you move distances around the map. The Doctor's madness application is prevented when hiding inside lockers. Especially useful in tight spaces, you will be able to avoid his shocks and accumulating Madness. When you are on the very edge of the Doctor's Terror Radius, relocate. This way you can keep your Madness levels low at close and long range. 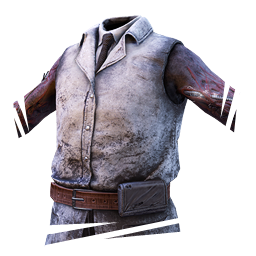 One of the hallucinations caused by Madness is a still-standing figure of the Doctor in Punishment mode, appearing near Survivors and staring at them. The Doctor is able to see these figures as if they were a real player, telling him there is a Survivor in the vicinity. Furthermore, the Doctor can use the direction the hallucination is facing to guide him towards his victim. 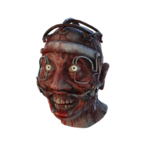 The Doctor moves as fast as The Hag and The Huntress (4.4m/s) when in Treatment mode, but moves faster (4.6m/s) when in Punishment mode. 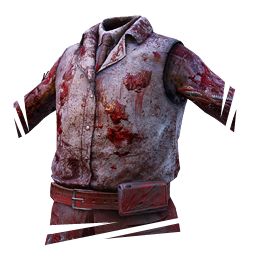 Remember to switch over shortly after discovering a survivor through their screams, so that you can close the distance more quickly. 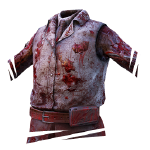 When using an "Order" Add-on, spawning an Illusionary Pallet or having one dismissed by a Survivor will notify you with flickering static around the edges of your screen, the same experienced by a survivor when they become afflicted by something. 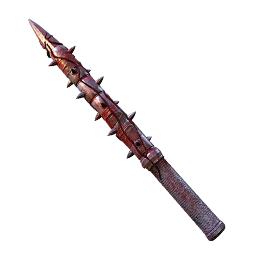 This can be used to gauge a Survivor's location in some situations, but it's tricky and unreliable.